QPHY-USB3.1-Tx-Rx offers a fully automated test package for USB 3.1 transmitter and receiver compliance testing, characterization, and debug. 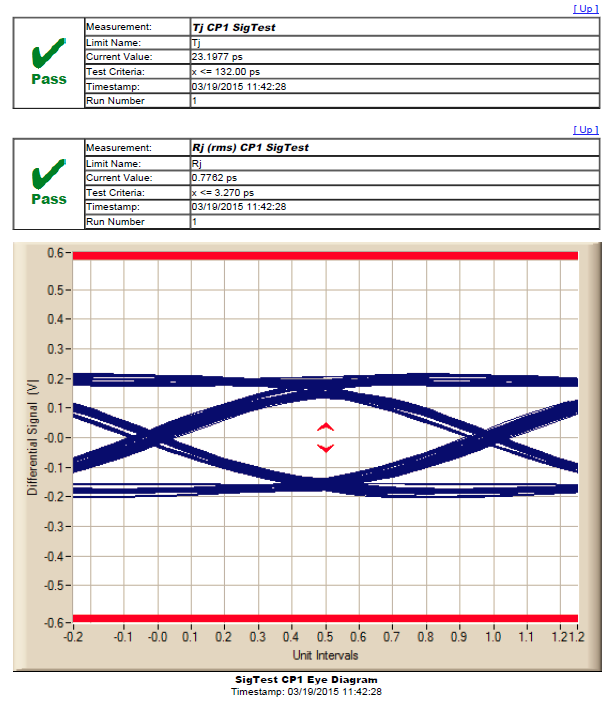 It provides connection diagrams to ensure the proper setup for the required measurements, automates the oscilloscope for performing these measurements, and provides a comprehensive report of results including pass/fail results and screenshots. QPHY-USB3.1-Tx-Rx can control the PeRT3 communication with the DUT on the protocol layer by sending a specific number of Ping.LFPS in order to stimulate it to output the required CPs for each test. This enables fully automated transmitter compliance testing. Receiver test specifications require calibration of the jitter output sources for the test instrument. 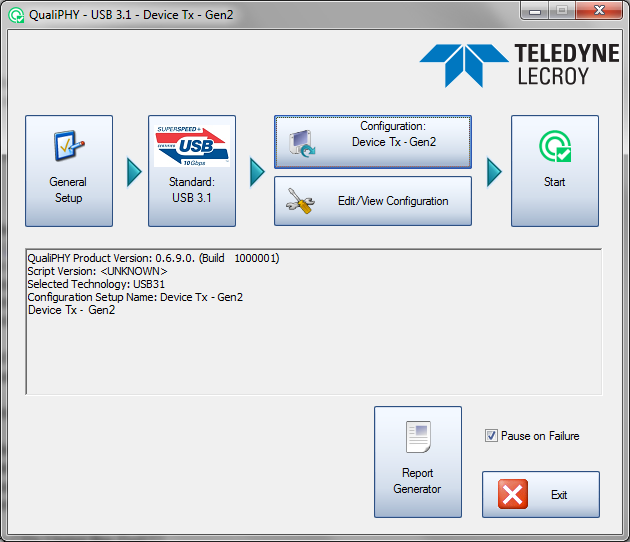 When using the PeRT3 in conjunction with a Teledyne LeCroy oscilloscope, this calibration is done automatically by the QPHY-USB3.1-Tx-Rx application. SigTest is the official software written by the USB-IF for compliance testing. By integrating SigTest into QPHY-USB3.1-Tx-Rx pre-compliance testing can be confidently performed prior to attending a USB-IF workshop. QPHY will automatically pass waveforms to SigTest and incorporate the results in the complete QualiPHY report. The Eye Doctor II analysis software enables channel emulation and receiver equalization. 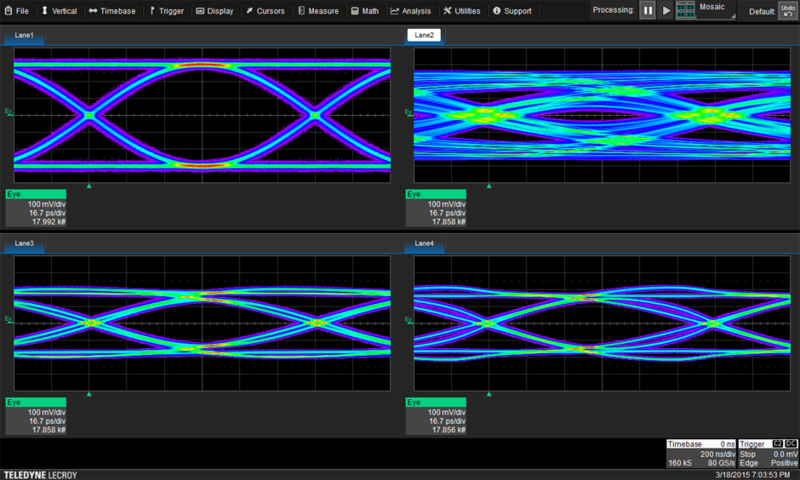 For testing USB 3.1 at the far end of the channel, a design engineer has the option of using a physical channel or they can use channel emulation to see what their serial data signal would look like if it had been transmitted through the channel. It is possible to experiment with the multiple CTLE and DFE combinations from the USB 3.1 standard or to define a custom CTLE for debugging purposes. SDAIII-CompleteLinQ is capable of simultaneously analyzing multiple lanes. Four “lanes” of analysis are available, allowing users to analyze data streams from different locations in their USB channel(s). For example, Lane 1 can show the Tx output, Lane 2 can show the signal at the far end of an emulated channel, Lane 3 can show the equalized far end signal, and Lane 4 the far end signal with a different CTLE/DFE equalization scheme.